Pfc. 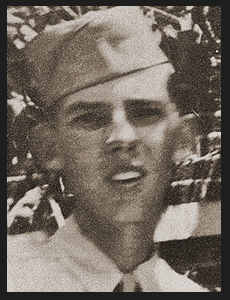 Kenneth E. Clark, son of Mr. and Mrs. Eugene Clark, graduated from Tipton High School. Entered Service in May,1943, trained in Camp Barkley, Texas; went overseas in Oct,1943; served in the Hawaiians, the Marianas; duty in Guam. Awarded Bronze Star.